After the launch of chip-based National Identity Cards being introduced in the country, a new smart system for vehicle registration has finally been launched in Pakistan. Excise and Taxation Department has started to issue the Vehicle Registration Card. It replaces the existing book with the chip-based Vehicle registration card. The vehicle and owner information is provided in the Smart Card for Vehicle. 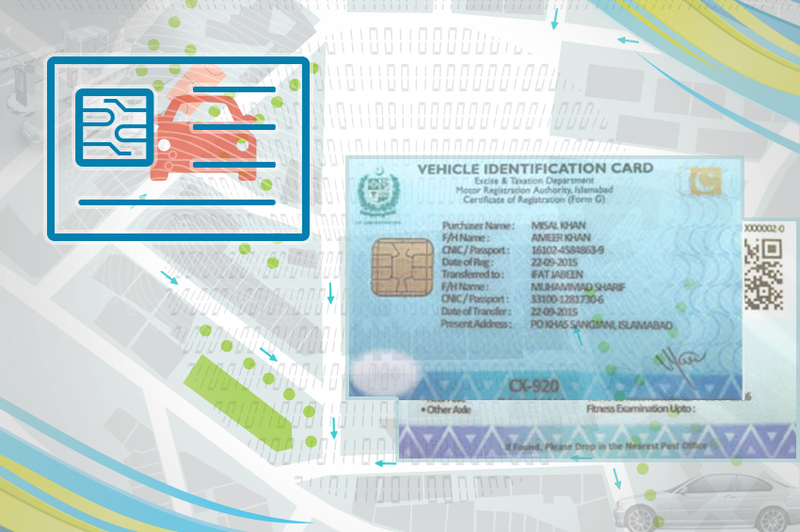 Vehicle Registration Card is developed in collaboration with the National Database and Registration Authority (NADRA) and excise and Taxation Department. After performing the data entry at ETO office, NADRA executes verification and validation checks on the provided data from ETO. Chip based card is then printed by NADRA when the data has been verified and validated.